Unlike traditional lottery, online lotteries present complexities that don’t exist with a brick-and-mortar outlet. But hey, this is not rocket science. We’re here to teach you the ins and outs of online lottery so you can avoid nasty scammers and get the best experience possible. First, let’s take a look at the key differences between traditional lotteries and online lotteries. Why would you pick one over the other? Most online lotteries aren’t government-run, whereas traditional ones are. Private businesses usually run online lotteries and serve as middlemen for the actual games, such as MegaMillions, EuroJackpot, or PowerBall. You’re still purchasing entries to official government-run lotteries, but with the added convenience of being able to participate in a wider pool of both national and international games. With traditional lotteries, it is a question of geography and locale. Normally you play the lotteries available in your area unless you are willing to drive, fly or take the train to buy tickets for different lotteries. With online lottery sites, you can play in as many different games as you want—all from the comfort of your own home, office, football stadium or local pub. Who Can Play Online Lottery? 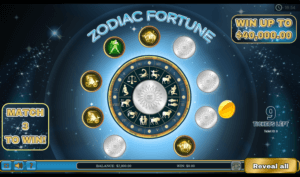 Online lottery sites allow you to play both national and international games. 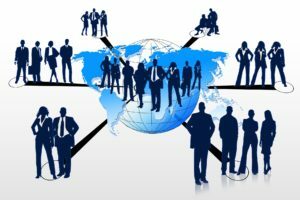 That means that, for the most part, you can participate in any online lottery game from anywhere in the world, with the exception of some countries. In India, for example, online gambling is largely prohibited, including online lottery. Some states are laxer than others similar to some areas in the U.S. This is why it’s important to understand your local laws before you start trying your luck in online games of chance. Your win could disintegrate and get you in hot water with the law. Now that you’re ready to play, learn the difference between buying a ticket through a lottery agent or through a betting website! Lottery agents purchase tickets for you. Lottery agents are online lottery sites that go out and purchase tickets on your behalf. These companies have satellite offices scattered around the globe and send their agents to buy tickets. Most lottery agents will also scan the tickets and send the copy to you for proof of ownership. Lottery agents are middlemen. You are paying more than the ticket price for the agent to physically buy your ticket. Just check out their handling fee before you click the buy button. If you prefer not to pay the commission, then a lottery betting site might be more up your alley. These websites don’t purchase tickets for you. 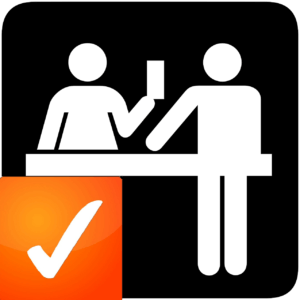 The ticket prices are usually the same as those found in brick-and-mortar shops—with no handling fees! So how do you gain an entry to official lotteries if they don’t buy tickets for you? Well, you don’t. Lotto betting sites don’t purchase tickets for you. Lottery betting sites are set up so that players only bet on the outcomes of: official lottery games. In other words, they aren’t really offering entry to the games they offer—you’re merely a spectator, nothing more. Of course, you can still win real money here as well, but you have to make sure that the website in question has a good payout record, is regulated by a gaming commission, and has measures in place to ensure that players receive their prizes. So, now that you know about the two types of lottery sites, let’s start playing! Go to your lottery site of choice that has SSL encryption and security logos. Sign up for an account. These are usually free but most sites also allow you to do this step later. Pick your numbers. You can do this either manually or automatically (via Quick Pick options). Choose the number of draws you wish to participate in or opt for a subscription if you don’t want to miss a single draw. Not every lottery game has the same rules. They all work in a similar manner, but most have minor rule differences. One game, for instance, may require you to choose 5 numbers from a range of 1-50, and an additional 2 from a range of 1-10. Another game, on the other hand, may require you to choose 5 numbers from a range of 1-69, and 1 additional number from a range of 1-26. The differences aren’t that great but it can get confusing. Most lottery sites—the good ones, anyway—offer quick how-to’s or tutorials for each of the games they offer. It won’t hurt to read up on those before playing! Syndicates improve your odds of winning by allowing you to team up with other players. Other than the usual selection of lottery games, most lottery sites also offer group play options—also known as syndicates. These games allow you to join other players and pool your tickets to increase your chances of winning. It’s true; it is easier to win in syndicates—but you share your winnings with your fellow players. You can increase your share just by purchasing more tickets. So, if you aren’t particularly fond of sharing your winnings with other people, syndicates may not be for you. But for one group of 11 guys who meet once a month to play poker in California, sharing is indeed caring. They pooled together $20 each and won $779,264 in a Powerball drawing! That’s a little over $70,000 per player! Though not the same as a syndicate, the California lottery offers a group play in which there is a jackpot captain managing a team or lottery pool. It is regulated by the state and the jackpot captain must register with the state. Virtual scratch cards come in many forms. From popular credit cards, to lesser known payment methods, online lotteries allow for greater deposit and withdrawal flexibility. Online ticket purchases differ significantly from a traditional lottery. With online lotteries, there are numerous ways you can deposit, and even withdraw funds. 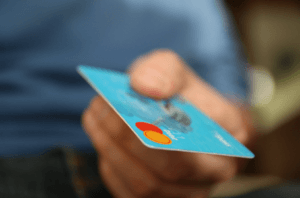 Most sites offer the usual payment methods: Visa, MasterCard, and American Express. The best sites, however, offer more options—and some accept Bitcoin transactions. My top pick, TheLotter, for instance, offers a whopping 30 deposit options, making it easier for players from all over to participate in this site’s games. When you win, most online lottery sites will immediately notify you via email or, if you prefer, via SMS. You can receive your winnings either via a direct deposit to your account, or in person. Lottery sites usually have a system wherein if you win up to a certain minimal amount, your money will be deposited directly to your account. If your winnings go beyond this threshold, you might have to claim your prize in person. There are a few lottery sites that can claim the prize for you if you choose—though it’s more likely that official lotteries will require you to be present in person. I’ve talked about how some online lottery sites add on extra fees that slightly drive up the price of tickets. This is the tradeoff you’re going to have to live with for the added convenience their service offers. Please note that not every lottery agent does this. Some charge you for the actual ticket prices. So how do they make a profit? Other than bombard their website with ads, they take a percentage from your winnings. Nothing in life is free. Legitimate lottery sites have certain security measures in place that ensure daily transactions are safe from malicious, prying eyes. Websites usually have SSL encryption, but those with other trust logos on their websites definitely score plus points. Online lotteries may not be as straightforward as traditional ones but that shouldn’t stop you from playing. 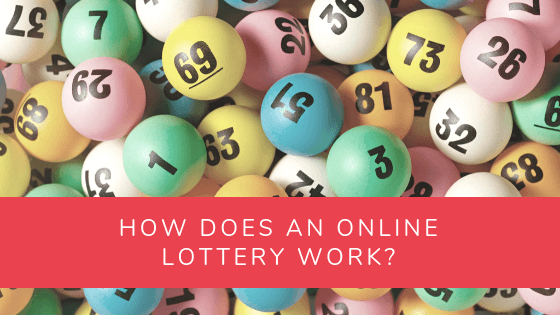 Learning the differences between the two types of lottery sites, what the allowed deposit and withdrawal options are, and how to collect your winnings, can help prevent future headaches. Knowledge is power so use it for a hassle-free, online lottery experience. Beware of “gambler’s fallacy”: that past, or unrelated events influence future outcomes, such as past drawings, or where or when you buy your ticket, or how many you buy, changes your odds. The odds do not change per ticket, so all you do is slightly increase your odds: p/odds, where p is the number of tickets you purchase; also, if the game is honest, ALL pool numbers are in play until selected. Also watch selecting numbers and unwittingly eliminating numbers by playing dates, birthdays, addresses, etc. Another thing is that other people may play the winning number, so you may have to split the jackpot. Good Luck to all of us. Hey Rod, thanks for the comment. We’ve got a post on the gambler’s fallacy if you or other readers would like to discuss it more. Hi! You can cancel a subscription. Just log in to your WinTrillions account and get in touch with customer support to let them know. You can also ask them how you got charged for that subscription if you didn’t subscribe in the first place. Hope it works out!